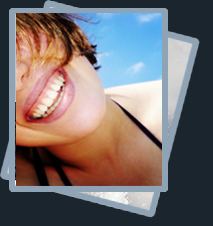 The People Shine Project is a SW Florida community service program that promotes and facilitates integrative recovery and holistic self care practices through affordable classes, groups and workshops, as well as private consultations. But it's actually even more than that. 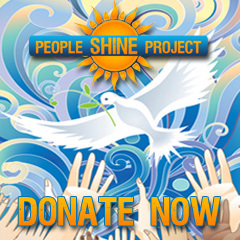 The People Shine Project is a movement, which is starting to take hold at the grassroots level of community. It is the movement toward the use of transformational and holistic methods, coupled with more personal responsibility for self care. It is our vision to inspire and educate people to take a more balanced and proactive approach to self care, wellness and personal growth. As advocates for integrative medicine, we have formed a unique community alliance which allows us to bring over 50+ classes per month (and growing) together under one roof to support this vision. Some of our offerings include Guided Meditations, Meditation Workshops, Mindfulness and Consciousness Raising Classes, Reiki Classes/Sessions, Breathwork, Shadow Work, Yoga, Tai chi (coming soon), Healing Circles & Pure Light Blessings (Diksha), Addiction Alchemy™ Recovery Medicine Wheel, Transformational Journeys, Women's Empowerment Groups, Goddess Circles, Journaling Classes, Drumming, Ecstatic Dance, Creativity & Art Workshops (Jewelry making, Collage/Mixed Media), Feng Shui Classes, Crystal Classes, Kabbalah Study Groups, Theta Healing, Crystal Bowl Meditations, Nutritional Education, Aromatherapy, Spiritual & Intuitive Development, Men's Groups, Abundance Workshops, Mastermind Groups and Professional Development workshops, Spiritual Mentoring, as well as Mini-Retreats, Social gatherings and non-denominational Sunday Services. Click here to see our full calendar.